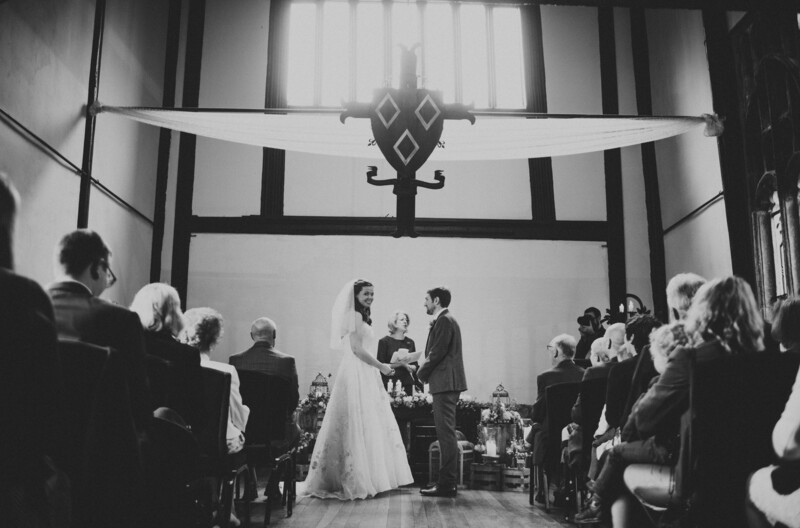 On approaching historic Samlesbury Hall, you are drawn into ancient wooded grounds before you catch your first glimpse of this magnificent black and white medieval building, with its swathe of emerald lawn and sweeping driveway. Picture yourself drawing up outside on the most perfect day of your life. Nothing compares to the feeling of grandeur when you and your guests meander through the historic rooms for the first time. With over half a century’s experience, we invite you to become part of our history, and offer you the warmest welcome. Our managers, chefs and liveried team are on hand to help you every step of the way. You can also offer your guests a truly unique stay - our twenty-eight fully en-suite Shepherd’s Huts are nestled amongst festoon lit historic woodland, providing a comfortable night for at least 100 guests. Samlesbury Hall is an unforgettable setting for a wedding as individual as you are and we look forward to helping you achieve your dream. 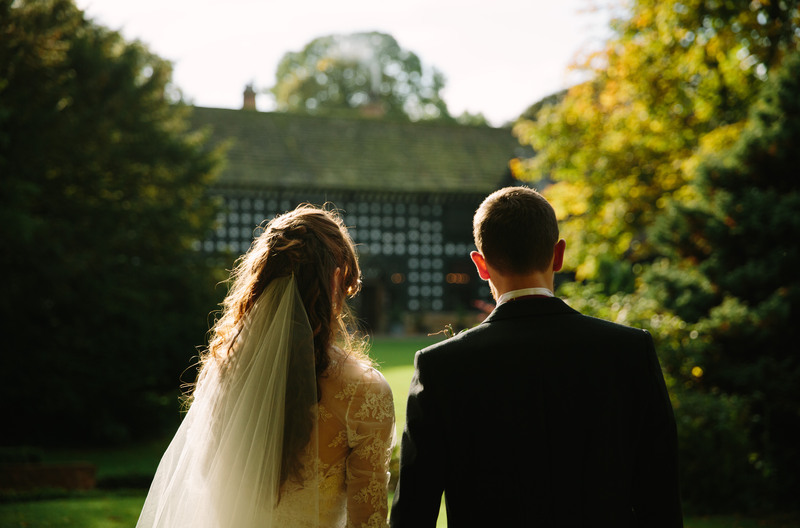 With everything under one roof, holding your wedding ceremony at Samlesbury Hall means there is no need for any travel for you and your guests. 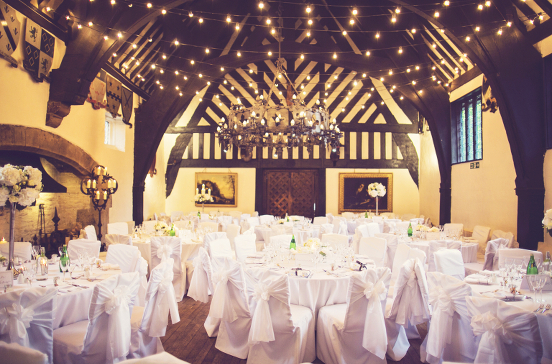 Your guests will enjoy this beautiful setting with a reception drink and canapés of your choice, and our manicured lawns, woodlands and incredible oak panelled interior make Samlesbury Hall a photographer’s dream. Samlesbury Hall’s award winning chefs source the finest local produce to ensure what you eat at your first meal as a married couple will never be forgotten. Our wedding manager can arrange for you to taste the menu at one of our open events. Or why not make your menu a memorable one and choose something from our street food shack? Your guests can build their own burgers... or choose their favourite pizza toppings from our woodfired pizza oven. Whatever you would like to eat, it's entirely your choice. However many friends and family you may wish to invite, dancing the night away on the wooden floors of the Great Hall until the early hours, complemented by your choice of evening food and entertainment, this is the perfect way to end your day. The lounge and dressing room offer the perfect space for your bridal party preparations. With its oak slipper bed and roll top bath, double shower and complimentary fizz & sweeties, the Gatehouse is pure romance to end your perfect day. 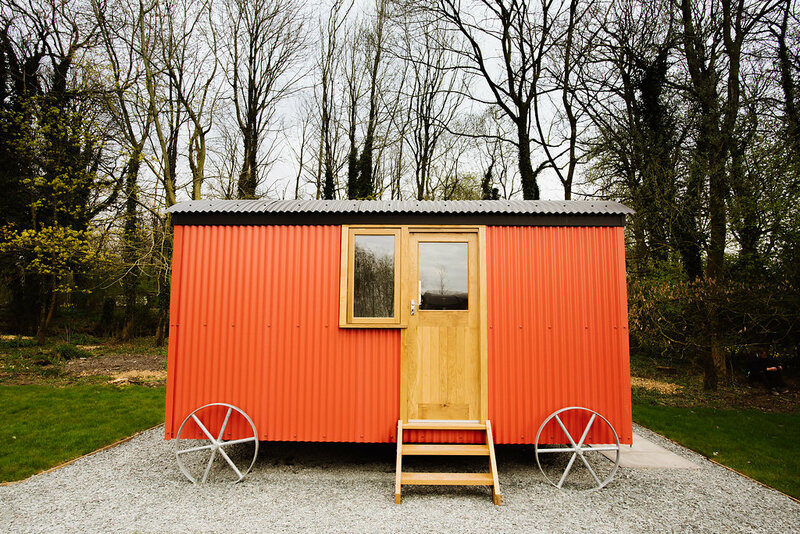 Nestled in the festoon lit woods, our heated luxury shepherd’s huts sleep up to four - with en-suite bathrooms, power showers, and solid oak double bunk beds with memory foam mattresses to ensure your guests have a comfortable and cosy night’s sleep. When your date is in the diary, you will receive your own ticket for tester stay in a hut so you may see for yourself just how cosy they can be! Attend one of our open evenings or wedding fairs to get a feel for how your big day will go - find a list of dates HERE. Better than that – call us and we will give you a personal one to one show round when you may ask as many or as few questions as you like. Wedding tastings are readily available at our open evenings as well as the chance to stroll around our quirky Shepherd’s Hut Hamlet to see how luxurious glamping can really be. Got a date in mind? It’s yours with no obligation for two weeks, following which a £1000 deposit secures your special day. If we can do it, we will! For a bespoke estimate, contact us with your guest numbers and wedding ideas! Do let us know if you would like a copy of our brochure posting out to you.